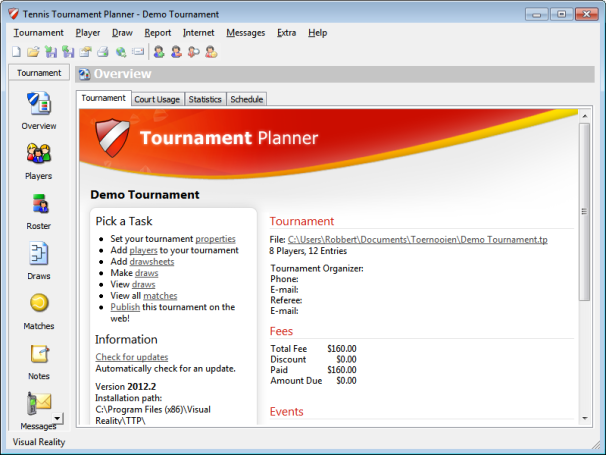 The Tournament Planner is the "Look and Feel" of the popular Office products. This allows almost everyone to work around with the Tournament Planner. The toolbar provides quick access to frequently used functions.